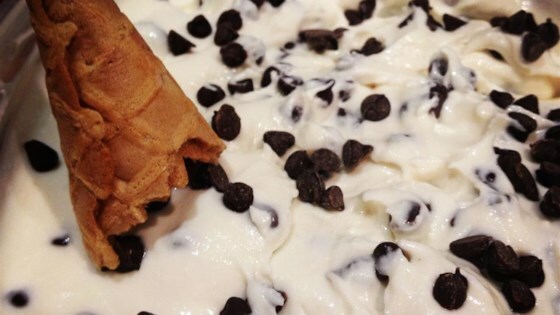 "This dip takes the tastes and flavors of a cannoli and turns it into a wonderful party snack! To serve, break up pizzelle cookies or waffle cones into chip-size pieces to scoop cannoli dip and enjoy! The dip tastes just like the filling from a cannoli, and the pizzelles act as the shell." The Italian dessert gets pumpkin-spiced! just plain wonderful!! I use mascarpone instead of cream cheese...both are great! Made this last weekend for a bbq. Family loved it. It didn't have the consistency of a dip, more soup like. How can it be thickened up?